Waiting on the outcome of a pending lawsuit can be a long, frustrating journey, particularly when you know that you are positioned to win. With legal and personal expenses mounting, financial pressures continue to press down on you and work may not be an option due to injury. Pre-settlement funding is an option that can alleviate those financial pressures and Cash For Lawsuits is here to help with the process of lawsuit funding. We know that you need a trusted partner at this challenging time and that is why numerous clients have turned to us over other providers that supply lawsuit loans, settlement loans and lawsuit cash advances. Pre-settlement funding provides a Plaintiff with an advanced cash payment against future settlement proceeds. Whether it be to cover the payment of monthly expenses like rent and/or a mortgage or just to get access to the cash that is owed to you, pre-settlement funding gives you a way to make that happen. Generally, the process works very quickly and payment can be received in a matter of days. Pre-settlement funding does not necessarily need to be a lawsuit loan or a settlement loan. Instead, Cash For Lawsuits prefers the use of a lawsuit cash advance that provides you cash up front without having to repay loan installments or high interest rates associated with loans which can accumulate monthly. 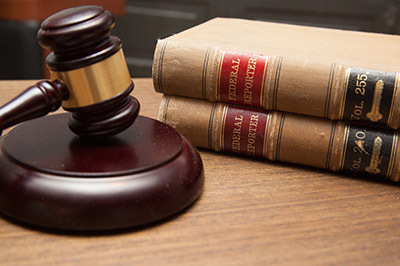 The lawsuit cash advance is Non-Recourse which means, if you lose, you do not owe Cash For Lawsuits anything. Lawsuit Cash Advance – As the name implies, lawsuit cash advances are a cash advance payment against the future settlement proceeds of your pending lawsuit or claim. Non-Recourse, meaning you pay nothing if you lose! To learn more about obtaining a cash lawsuit advance, contact Cash For Lawsuits today or apply online. Lawsuit Loans – A type of lawsuit cash advance, a lawsuit loan may require regular repayments with an interest rate and usually must be repaid regardless of your legal claim’s outcome. Lawsuit loans can be expensive and can put much of the risk on the plaintiff due to the fact they are not a non-recourse payment like a lawsuit cash advance. Lawsuit Settlement Loans – Also, known as lawsuit settlement loans or litigation financing, a lawsuit settlement loan advances a Plaintiff cash against their pending personal injury lawsuit. The process can be fast and straightforward helping to advance funding to plaintiffs in need, however, like a lawsuit loan, may require periodic repayment at high interest rates. Cash For Lawsuits’ network of experienced underwriters are trained in all types of personal injury cases which allows us to match you to the best funding based on your state. Regardless of the state in which you reside, Cash For Lawsuits offers a free, no-obligation analysis which is kept confidential and usually takes no more than 15 minutes to apply. Call us today or apply online to get started. * Due to state restrictions, we do not fund in AR, CO, IL, IN, MD, MN, NC, NE, NV, SC & TN.